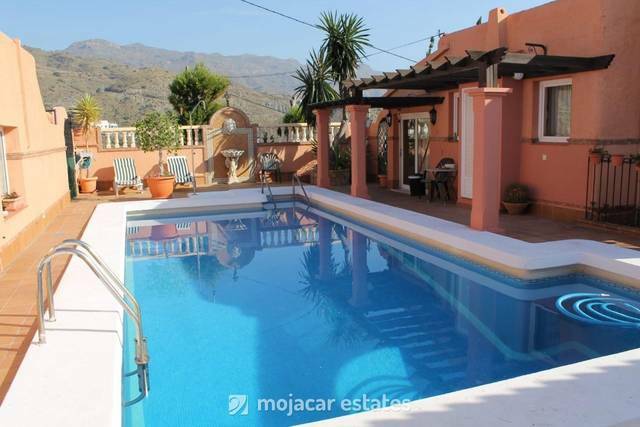 Lovely 2 bedroom apartment with stunning sea views in residential complex with 2 swimjming pools and private parking. 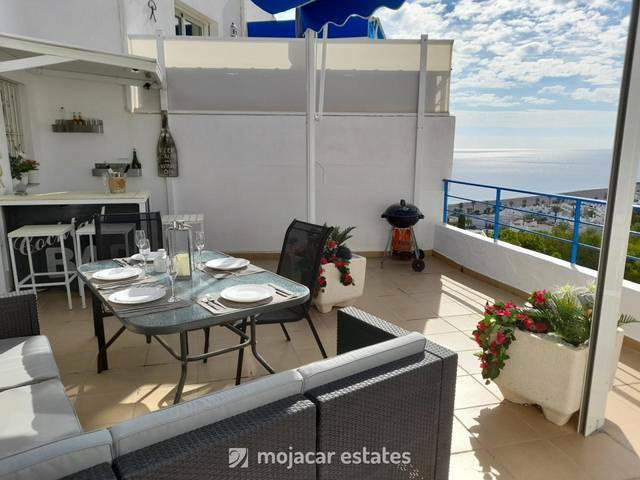 LOCATION: This apartment is in the Paseo del Moro Manco Road in Marina de la Torre Golf Resort. There is an automatic gate for vehicle entrance taking you to the allocated covered space. Internal staircase( 2 floors up) will tak you to the entrance door to apartment. The apartment is on the ground floor for pedestrian access if desired. ACCOMMODATION There are 2 bedrooms, one with double bed and ther other with 2 single beds, both with built in wardrobes and ceiling fans. There is a full family bathroom and a shower room adjacent to each bedroom. There is a fully equipped separate kitchen with a separate laundry area for wahing machine and hot water boiler. The kichen is equipped with fridge-freezer, ceramic hob & oven, microwave, dishwasher, toaster, coffee maker and all kitchen utensils. The lounge has a dining table and 4 chairs, settee, television and patio doors leading out to covered terrace. 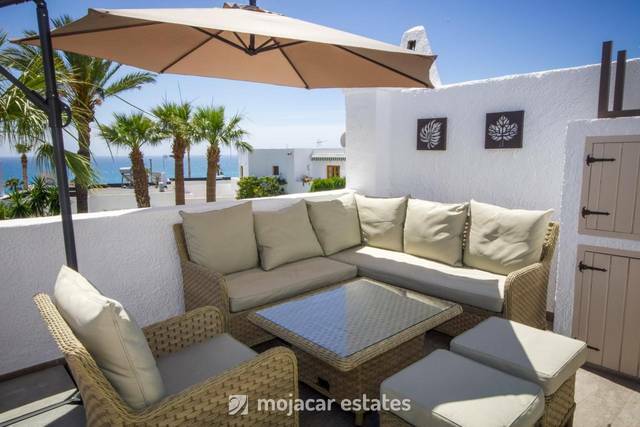 The terrace overlooks the golf course and enjoys fantastic sea views.